All the mention of the skins is lovely, but anyone from URD here that can comment if the cars FFB is going to be fixed? For me the mod is essentially useless for any racing until it is. ...there is hope for offline talents too? The DTM regulation has not changed between 2012 and 2016, and qualifying times are very close, if we don't forget conditions are not always the same. There is some qualifying on one track 2 secs slower one particular year for example. 2012 times seems a bit slower (not even on all tracks), not surprising if it was the first year of the regulation, but IMHO, everything but skins (and other visual differences) may be identical for all those years on a mod (or several mods from the same modders). But even changing the realfeel values the ffb feels weird, so most be another problem. AC and AMS updates will be released in next days when i upload them all up. and those stupid light beam which looks really silly ? no ? I purchased this last week based on URD's high quality Corvette C7.R mod.. I'm really looking forward to some FFB improvements, which will hopefully come soon. Just to add to the many comments above about the poor FFB, this is indeed the case; making it unplayable for me. Aside from that it looks good. Only tried the Aura and in cockpit view the windscreen seemed a bit dark. Headlight beams are silly in my opinion; hopefully they get removed - not a big gripe though as most of my racing is done during the day.. A FFB fix for now is the priority and I look forward to giving it another go once it's updated. As a temp solution for the FFB on these, if you set the realfeelplugin.ini settings below for the cars it vastly improves things. You need to firstly have driven one of each manufacturers cars once to create the realfeel entry for them. 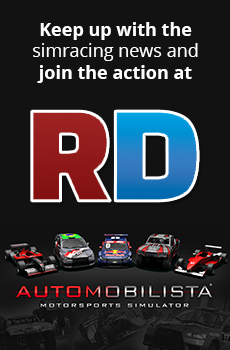 Look for the entries below in the realfeelplugin.ini file in your Automobilista game install directory. Edited to reflect my new settings after some more testing. Thanks Rodders! Those changes made a BIG difference I've done a few laps and they are really fun to drive.. The solution that I come up to have a better ffb with the default realfeel values, was changing the original PneumaticTrail=0.00001 value to PneumaticTrail=0.000003, for both front and rear tyre. The pneumatictrail can be found inside the tyre file, for example (AuraT5_Tires_2013.TBC). I was setting up an server with this mod. "AMS Freunde URD T5 Touring" is the name. You can find Livetiming at this link. Feel free to join and have fun with this. Any news? - poised to recommend this to my club and just waiting on the fixes. What we test is 225 km/h @ Spielberg with current version. With the Update we have speed up to 250-260 km/h.